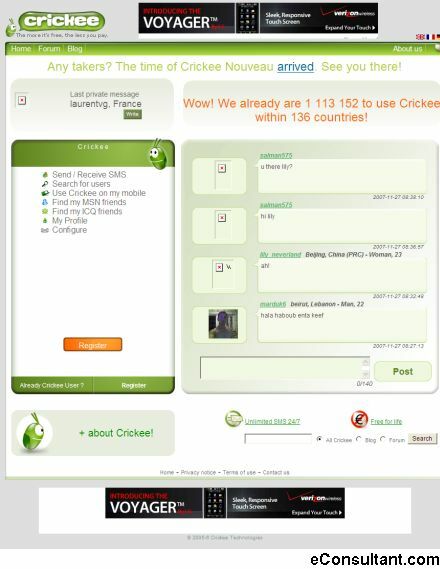 Description : With Crickee, users can send and receive loads of SMS totally free and without obligation! Crickee users stay real! Crickee also offers a unique service to all types of businesses connecting them with its customer base via a sophisticated multimedia advertising solution for increasing brand visibility.